William's naval record shows his date of birth as 2 April 1887 and that he enlisted on 2 April 1905 for 12years service. At the age of 18 he was 5'9” tall with dark brown hair, blue eyes and a fresh complexion. 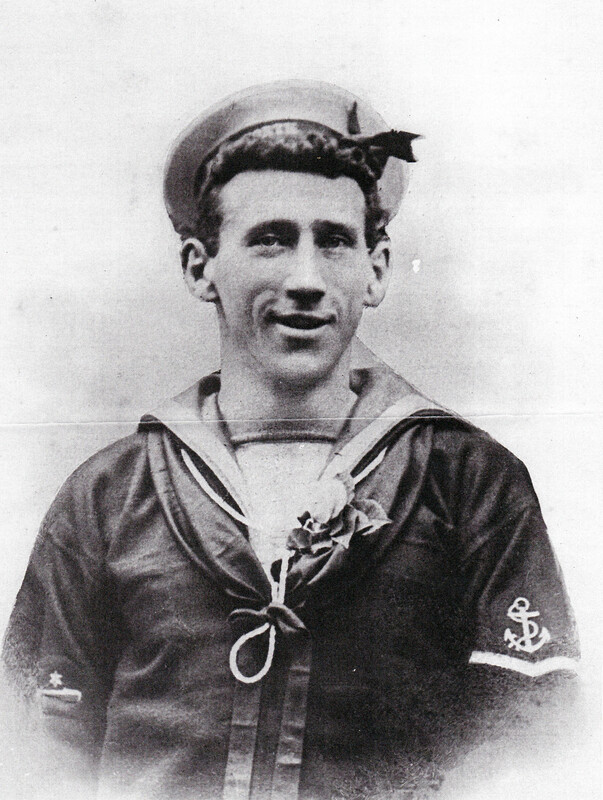 After initial training he served aboard several ships and was made Able Seaman in June 1906, Leading Seaman in September 1911 and after joining H.M.S.AMPHION on 25 October 1913 he was made up to Petty Officer on 1 December 1913. P.O. 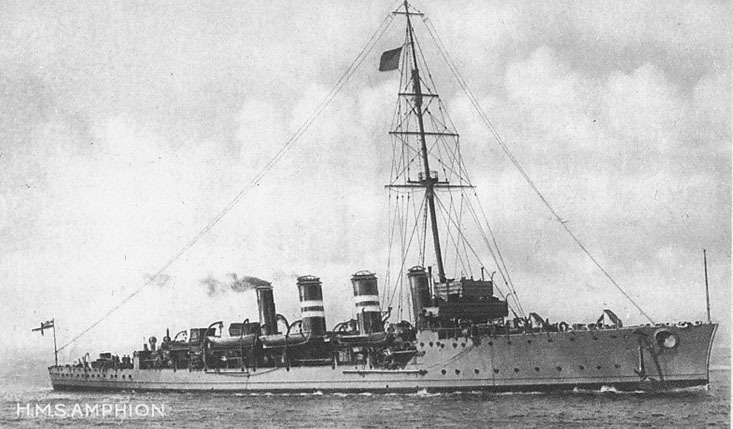 Criddle was one of 151 casualties from the first naval action of World War One, within 32 hours of the declaration of war. HMS AMPHION was a light cruiser and attached to the 3rd Destroyer Flotilla based at Harwich. Leaving on patrol early on the 5th August they encountered a trawler which reported a suspicious 'ferry-like' ship dropping things over the side. The ship was the German minelayer, Königin Luise. The German ship was chased down and sunk, and HMS AMPHION picked up any survivors. The flotilla continued its operations for the rest of the day with­out incident and in the small hours of August 6th turned about for home. The course set led the Amphion immediately over the mines laid by the Konigin Luise and at about 6.30 a.m., when all on board thought themselves clear of the danger, the ship struck a mine which exploded below her fore-bridge. The fore part of the cruiser was wrecked and nearly all those in it were killed, including 18 prisoners from the German vessel. Capt. Fox was stunned by the explosion, but recovered consciousness in time to order "Abandon ship". The destroyers sent boats to rescue survivors but the ship still had way on and began turning in a circle, into the minefield, and at 0703 she struck another mine which detonated her magazine and caused further injuries. The loss of life was one officer and 150 men, and 18 German prisoners. William was the oldest of six children, all born in Dawlish, of Frank and Charlotte Criddle who lived at Red Lion Court, Old Town Street . In 1901 he was 13 and had an occupation as Errand Boy. His father was a shepherd. Frank Criddle was born in Bridgewater, Somerset in September 1863 and had married Charlotte Voysey Mutters. Their children were William J (Q4,1887 - 1914), Frank (1889-), Edwin F (1892-) , James(1894-), Frederick G (1896-) and Lilian A (1899-). William Criddle married Rose Evelyn Pudner on September 12, 1912 and they had a child, William James Pudner Criddle on 23 July, 1913 (1913-2005). Their last known address is variously shown as 28 and 65 Manor Row, Dawlish (now Brook Street). Devon Roll of Honour He is recorded in the Devon Roll of Honour, although the place of death is not shown.